Shirley Irene Johnson, daughter of Wendall Leroy & Alice Pauline (Hansen) McMickle, was born February 24, 1924 at Nora Springs, IA. She was welcomed home by an older brother, Robert L, and the family grew with the addition of siblings Doris Pauline, John Wesley, James L. and Ronald Dean. Shirley grew up at Milton, Iowa. Shirley played basketball under the coaching of her dad and she always enjoyed watching girls’ basketball. She was baptized at the Grace Methodist Church in Milton, IA on September 10, 1939. Shirley graduated from Milton High School with the class of 1941. 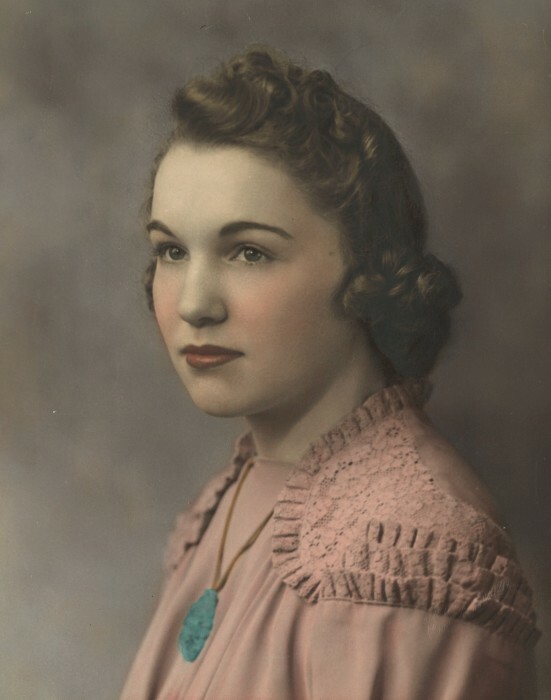 After graduation, Shirley worked at the Sheaffer Pen Company in Fort Madison, IA. On April 14, 1945, Shirley was united in marriage to Richard Guthrie Johnson at the Christian Church in Bloomfield, IA. To this marriage was born 3 children: Michael, Mindy, and Stevie. In the mid 1960’s, the family moved to Mount Ayr and it remained her home for the rest of her life. Shirley was a loving wife and homemaker to her family. She was skilled at sewing and made a lot of their clothing. Shirley worked outside the home at the Cap Factory and was a nurse’s aid. Shirley became a resident of Clearview Home and she passed away there on January 28, 2019. She was preceded in death by her parents; husband on November 11, 1996; son Michael in 1969; son-in-law Dan Minnick in 2018; and siblings Robert McMickle, Doris Peel, John McMickle, and James McMickle. Those left to cherish her memory include her daughters Mindy Minnick of Mount Ayr and Stevie Johnson of Des Moines, IA; granddaughter Lori (Jim) Norris and great granddaughter Allison Norris, all of Diagonal, IA; brother Ron (Lauren) McMickle of Kansas City, MO; sister-in-law Sue McMickle; nieces, nephews, and other relatives.